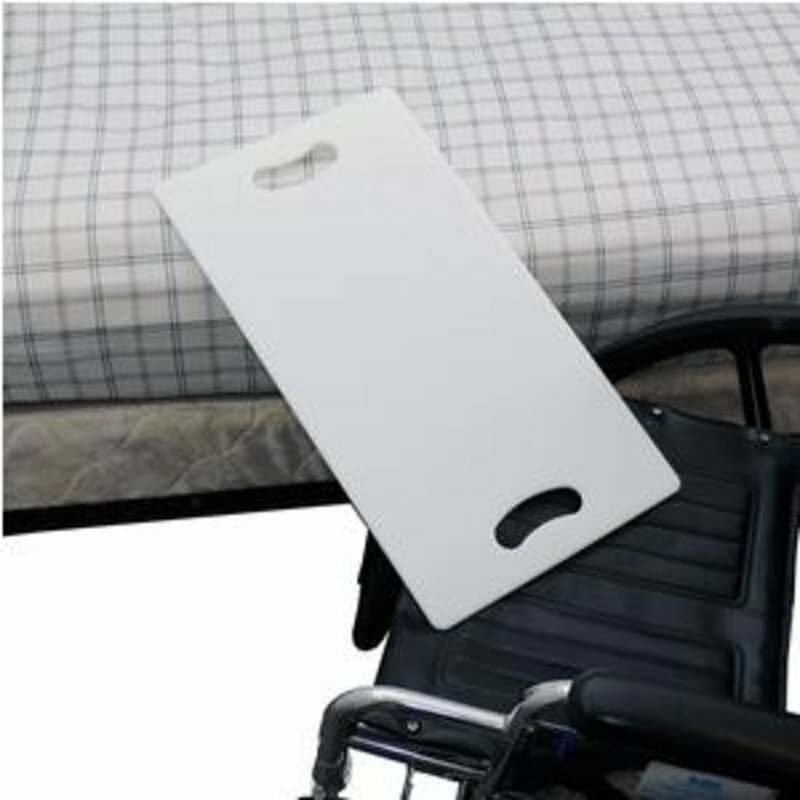 This lightweight transfer board bridges the gap between two patient transfer points. Anti-slip tapes on the bottom of the patient transfer board enable it to remain immobile during the patient transfer process. Move from one place to another easily with this SafetySure Lightweight Transfer Board. It's made of a sturdy, flexible and lightweight material with a smooth upper surface. This plastic transfer board has built-in anti-slip strips to keep the board in place during the transfer. It can support up to 300 lbs and will not tip upward as the patient slides over. It features built-in contoured handles and is suitable for use on either the left or the right side of the wheelchair. Looking for a larger transfer board? Search SKU: TRNSF-MTS-100 in our search bar.